Nearly every song, and every solo, on Miles Davis’s album “Kind of Blue” I can play in my head. But sometimes it is not enough. I have to hear it again in real audible space. It never disappoints. In fact, it is nearly transcendent. I’m hardly alone in my opinion. It’s the biggest selling jazz album of all time, a fact I only know from reading Wikipedia. Thanks to my Google Home – how did we live without home assistants? – it comes up instantly with just a few words, and I listened all over again at 3am because I couldn’t sleep just thinking about it. It’s just…cool. Never stops being cool. It defines cool. This time, however, I noted something new and interesting. It was the subtle way in which the pianist – always there but never featured – shapes the understated emotional sensibility and haunting tonal innovation of the entire album. Apparently this style was new for Davis. Before this album, he had followed the hard bop trajectory of his musical mentors. I wondered if this mysterious pianist was the reason for the shift. Then the name was revealed: Bill Evans. He was apparently the reason for the shift. It turns out that Evans had even written two compositions on the album in addition to the liner notes. All this musical past was built into his hands, mind, and vision of the future. The plot thickened for me. One of my favorite musical experiences of my life is listening to the Bill Evans trio’s album “You Must Believe in Spring.” It was recorded in 1977 and released one year following Evan’s death in 1980. It’s one of those things, like “Kind of Blue,” that you simply cannot hear enough. It just gets better and better. I suddenly felt like I’ve taken Evans for granted my whole life, always liking his stuff but never once bothering to find who he was or why he was great. I’ve never really spent even a minute focused on his personal achievement or quiet influence on my life. He left me a lifetime of amazing music that has shaped my understanding of art and music and yet I’ve not given his legacy the time of day. It’s been speaking to me for as long as I can remember but never overtly. His musical writing has shaped even my own prose. Once I did a quick read of his biography, his genius was more obvious than ever. He trained at conservatory, and even graduate school, in the classical tradition. He mastered Bach, which changed forever his understanding of composition, performance, and the relationship between harmonic voices. His aesthetic sense was further shaped by the late-19th-century French impressionism. He loved the early 20th-century innovations of Prokofiev and Stravinsky. All this musical past was built into his hands, mind, and vision of the future. Drawing on his training in baroque and modal scale theory, he recreated the intimate chamber sensibility of the 18th century. Evans then left the world of “classical” music to embrace the new world of jazz in the post-bop era. The world needed to move forward to the next thing. But what was it going to be? Evans brought his vast understanding of modal scales and deep appreciation of the musical line to create a new sensibility that moved a step beyond 1950s-style bebop as a follow-up to the big-band pop of the 30s and 40s. “Kind of Blue,” under the quiet tutelage of Evans, became a kind of hinge of music history. And then he left that group to form his own. Evans mostly played with small-scale groups, preferring the trio (with drums and bass, with something approaching equal voicing) to anything else. Drawing on his training in baroque and modal scale theory, he recreated the intimate chamber sensibility of 18th century parlor music to embed it within a new style. And he continued this approach throughout the rest of his career, leaving an amazing legacy of music. He became our Bach, our Haydn, our Schubert. I hesitate to add this awkward biographical detail but it is a very interesting one. He had a huge cocaine problem for most of his career. He used it often in performance. It worked for him. Sure, cocaine is terrible and it was very bad that he did this. I’m sure everyone told him to stop. He should have. Or so we believe. At the same time, the evidence that it worked for him is in the listening. Might it have been possible to do this without the narcotics? Maybe. Probably. Maybe not. In any case, it was his choice. It is unfashionable to say this in the age of the unending drug war, but let us just be blunt: the mix of personality, art, and substances such as this is more complicated than it is currently assumed. All we know is that his substance-abuse problem left us with great art. Great music consists of at once learning all things and then forgetting all things. 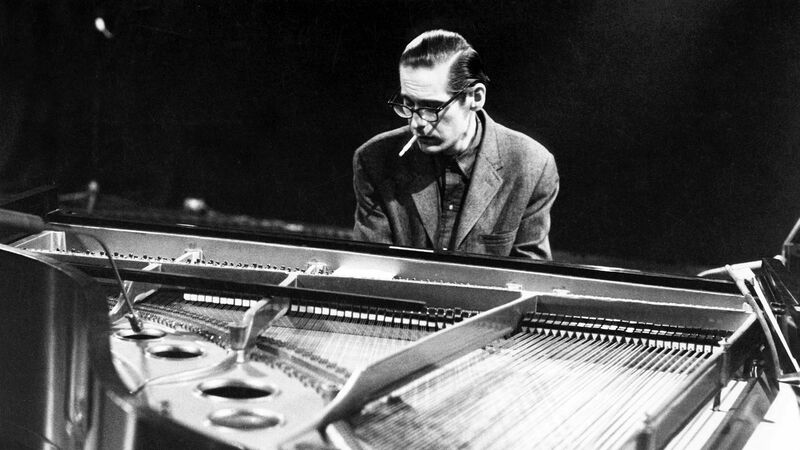 Right now you can listen to anything by Bill Evans and hear it: the invention, discipline, confidence, love of humane musical expression, and a complete absence of anything resembling compromise. Integrity and love were always at the center of his art, with equal parts of playing for the gods and playing for the audience that he had to cultivate to the new sensibility. It’s hard to imagine that kind of artistic life. It compares to the old master painters of Europe: integrated, visionary, complete, and transformative. To our ears today, it just sounds like the effervescent feel of jazz, all spontaneous, smooth, and inventive. But actually, it is not that simple. To achieve that level of mastery requires knowing and understanding everything that came before. As my old teacher told me, great music consists of at once learning all things and then forgetting all things to make something new. This is what he did. In music, we have to speak of genres because our brains require this. There is a great deal of mythology about this in jazz commentary, this notion that it is nothing but the musical expression of gritty lives of struggling against the odds. It is more correct to say that the best of the genre is a completion of forms that began to take shape within musical pedagogy some 1,000 years ago and grew gradually through the centuries, each generation learning from the previous one and finding the next level of expression. In music, we have to speak of genres because our brains require this and, from a practical point of view, we need to categorize things. But there is a sense in which this approach masks the universality of musical expression. Once you understand what is happening underneath, you can see that there is a connection between Bach and Miles Davis, between Monteverdi and rock, between even the text-driven chant of the 4th century and the text-driven hip-hop of the 21st century. When you talk to the experts, you gain an understanding of this. The world’s biggest expert on Gregorian chant once told me that the way to perform this music is by drawing on the best forms of jazz performance – because both forms began as ways of improvisatory expression within an established structure of musical knowledge. If ideas and art forms could not be ported through time, nothing like the art we take for granted every day would exist. It’s our habit to deny this, because we like the idea of art springing out of nothing from one genius’s mind. It’s the “great man” theory of music, but it is simply not true. If ideas and art forms could not be ported through time, made into eternal goods that teach and inspire, nothing like the art we take for granted every day would exist. Ideas (including sounds and sights) are the ultimate capital good, accumulating and amassing through time and paying returns in every generation in which there are artists bold and brave enough to draw from the past to create a new future. Bill Evans did just this, leaving us a new world, but never quite getting (or expecting) the credit. I also find it fascinating how with today’s technology, and the persistence of talent and dedication, each of us is free to sample this evolution of art from the time of our choosing, learning history at the same time we draw inspiration for our own time. If this article is your first introduction to the high artistic achievement of this man, I am pleased to first offer you two live performances, followed by a selection from his last album. I actually have never heard of Mr. Evans, and I am listening to him as I type this response and I am thoroughly enjoying! Thank you Mr. Tucker:) !